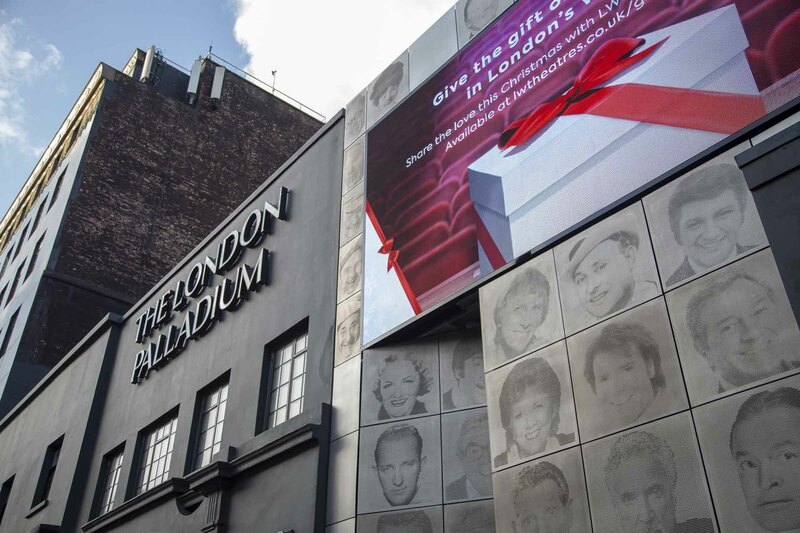 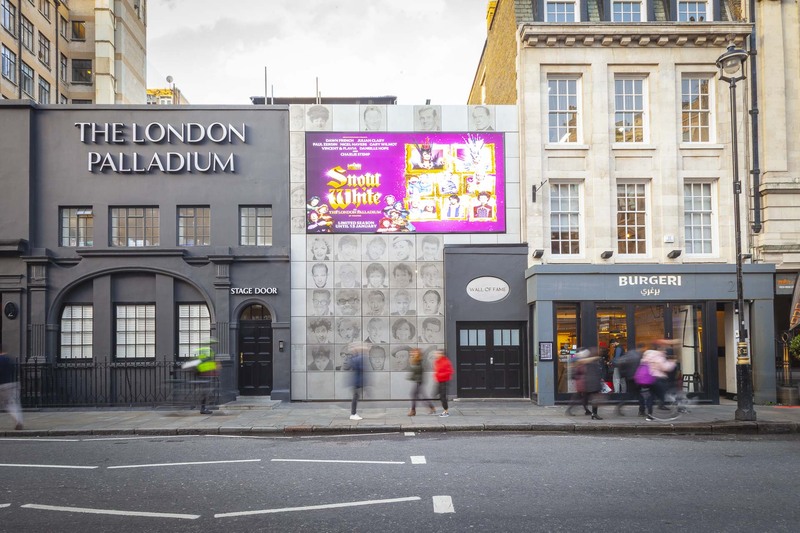 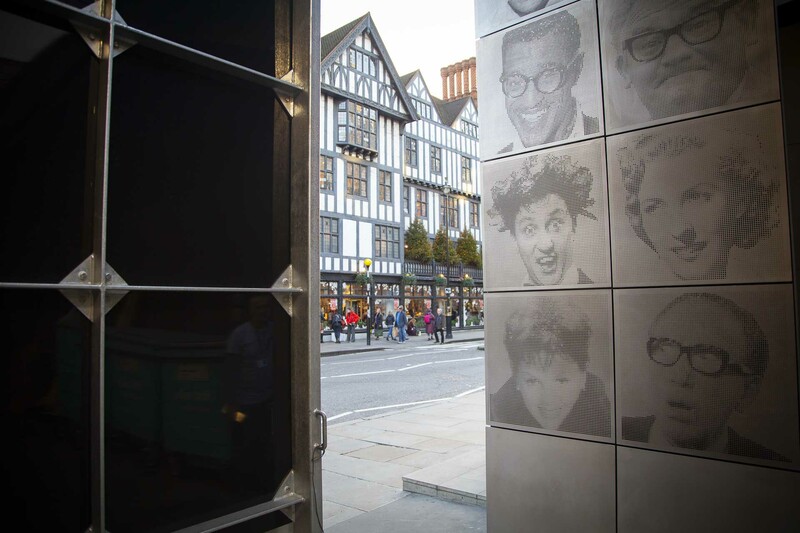 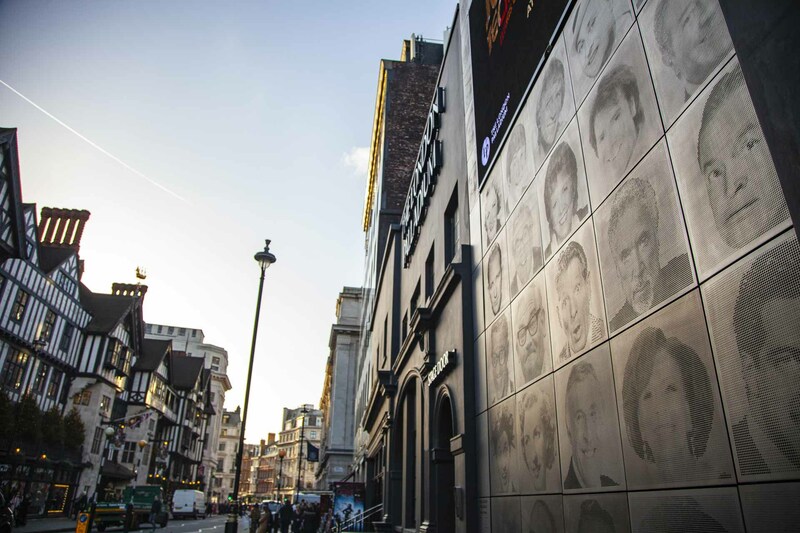 The London Palladium stage door gates ‘Wall of Fame’ were designed by Artist Lee Simmons as an homage to the greats of British variety entertainment who’ve played at the theatre over the years. 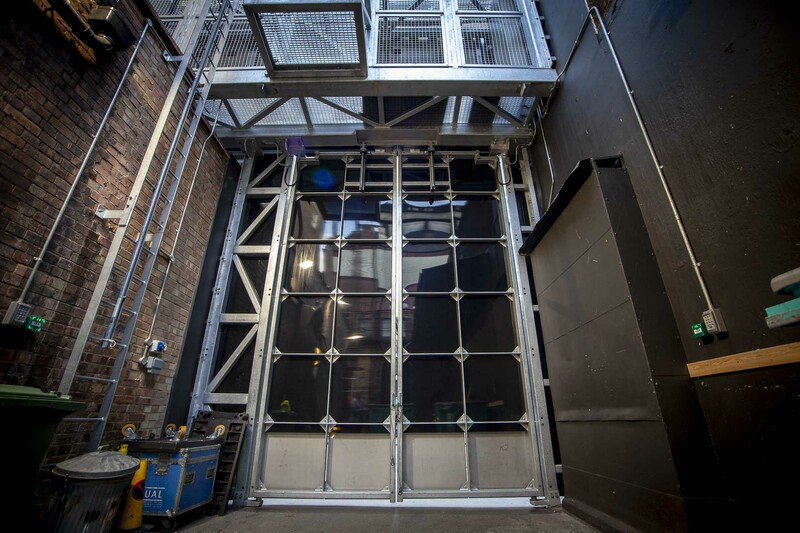 Commissioned by Andrew Lloyd Webber’s Really Useful company the large double gates are located next to the stage door, which is a prominent position being just across the street from Liberties. 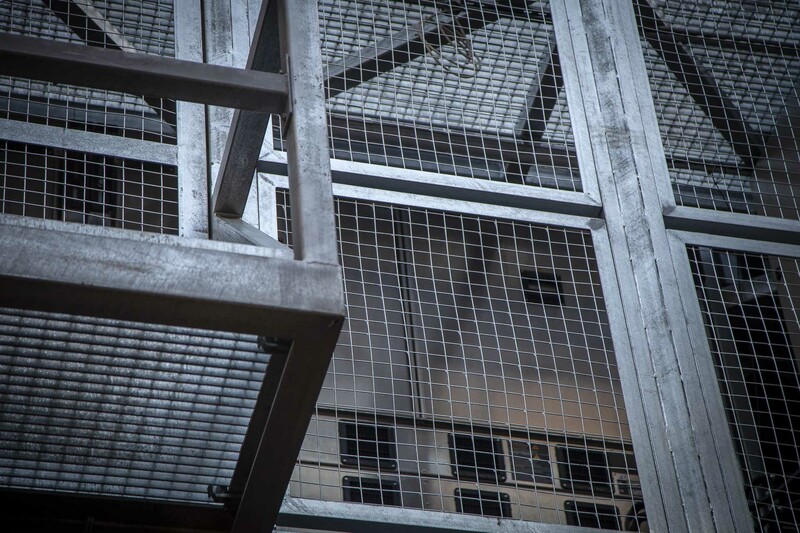 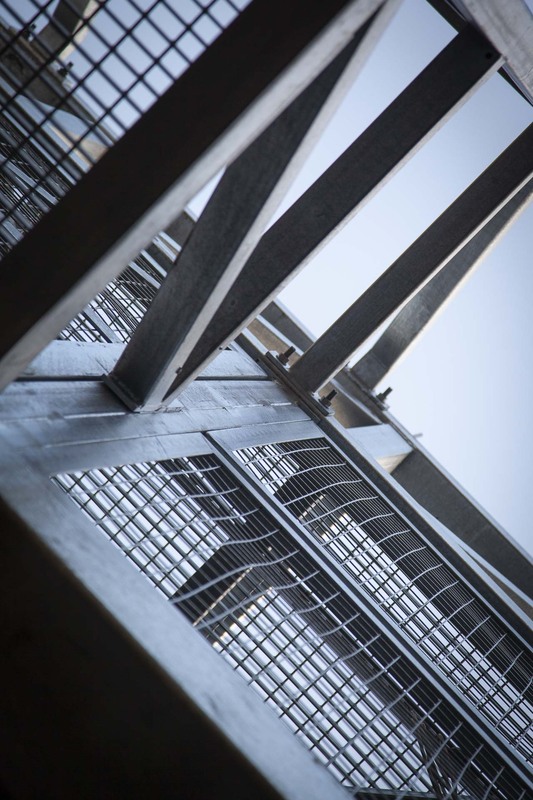 The fronts of the gates and their surround are comprised of separate panels of satin finished steel plate. 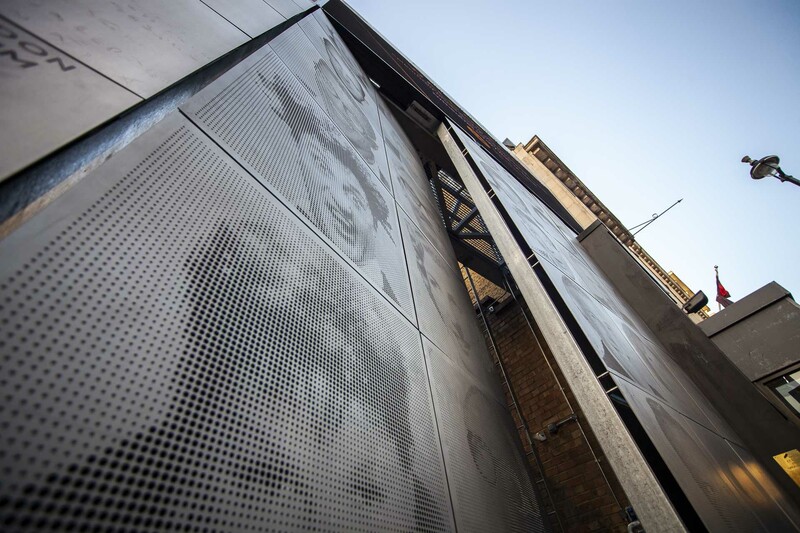 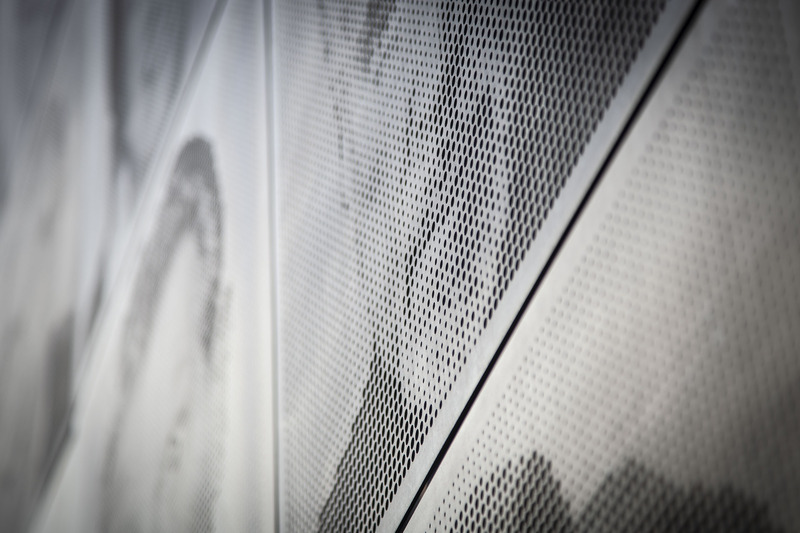 Various size holes have been cut by water jet into each of the panels to form images of famous faces in the same way that newspapers use dots of ink to make up their photographs. 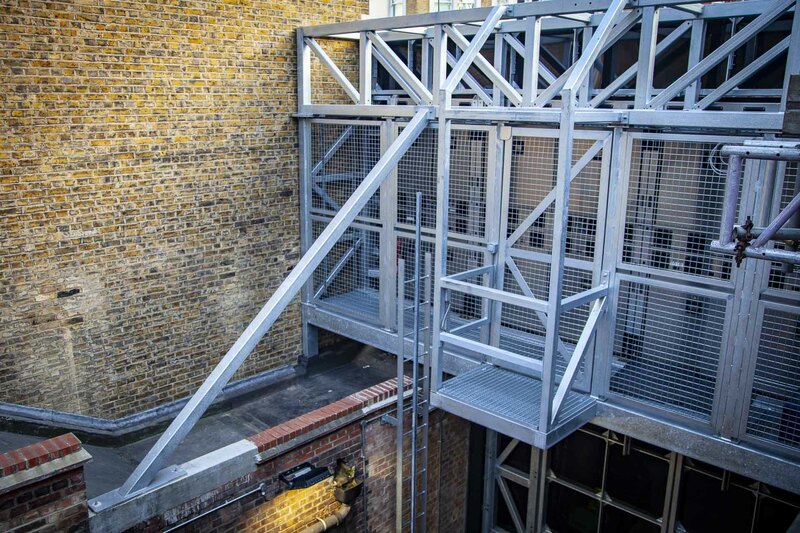 The gates are big because apart from being an emergency exit for the theatre they also allow large vehicles in and out of the back stage area for delivering sets etc. 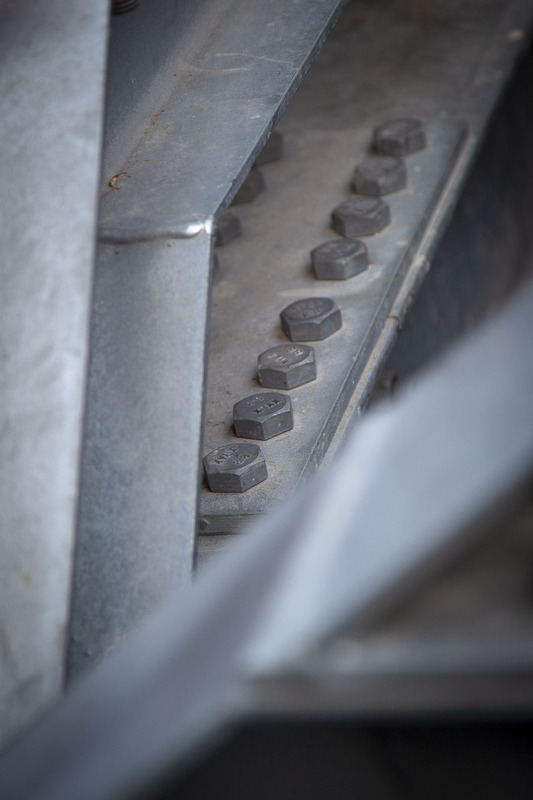 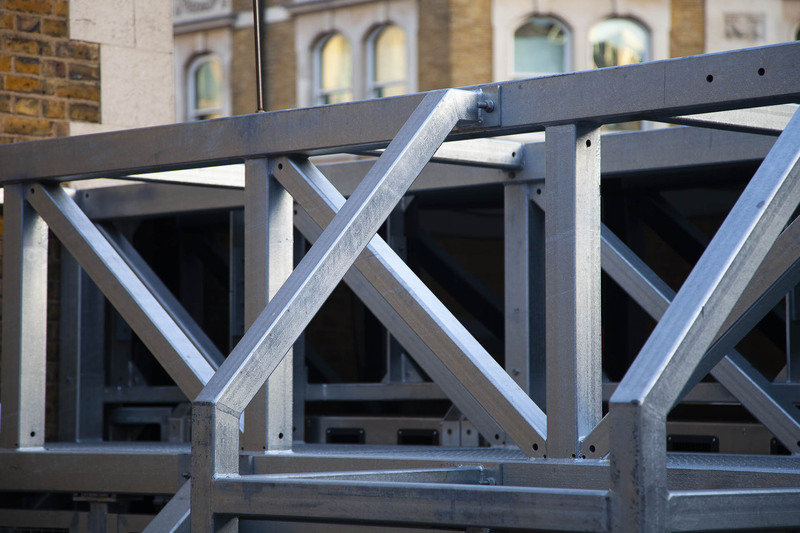 The supporting structure for the gates and surround was made of galvanised steel which has been bead blasted. 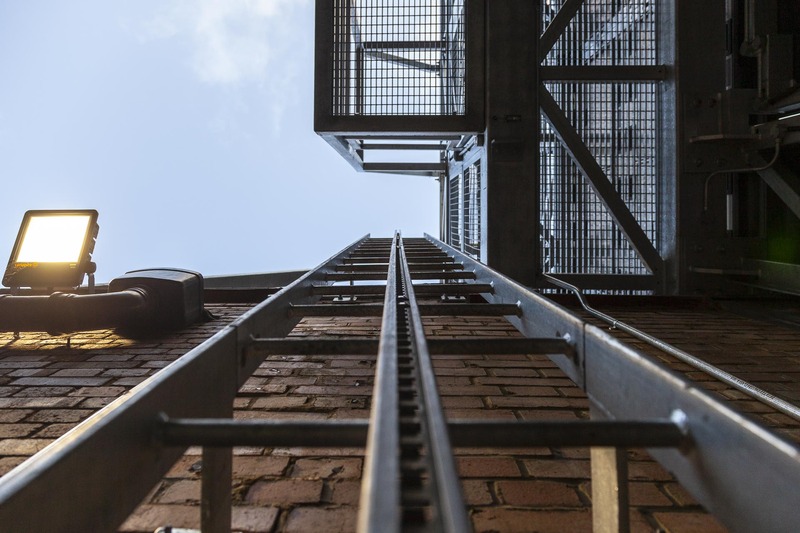 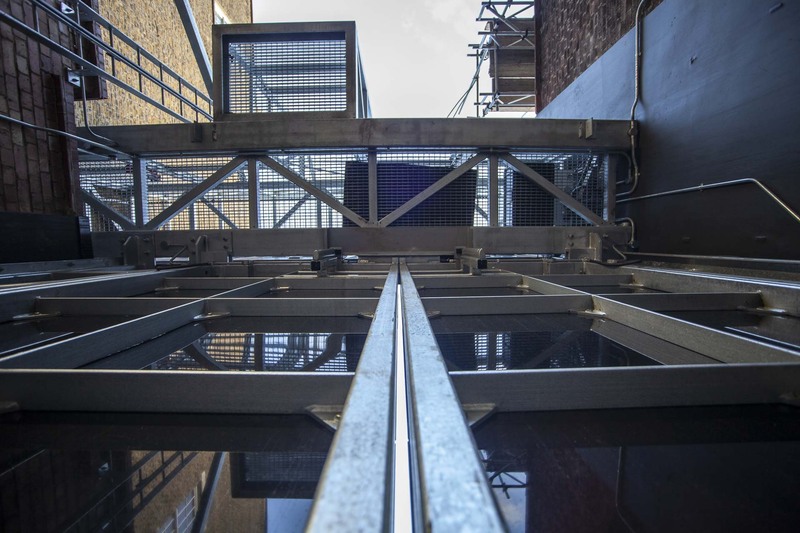 Fixed wall ladders lead up to an enclosed gantry that runs above the gates giving access to the back of the advertising screen that faces out onto the street. 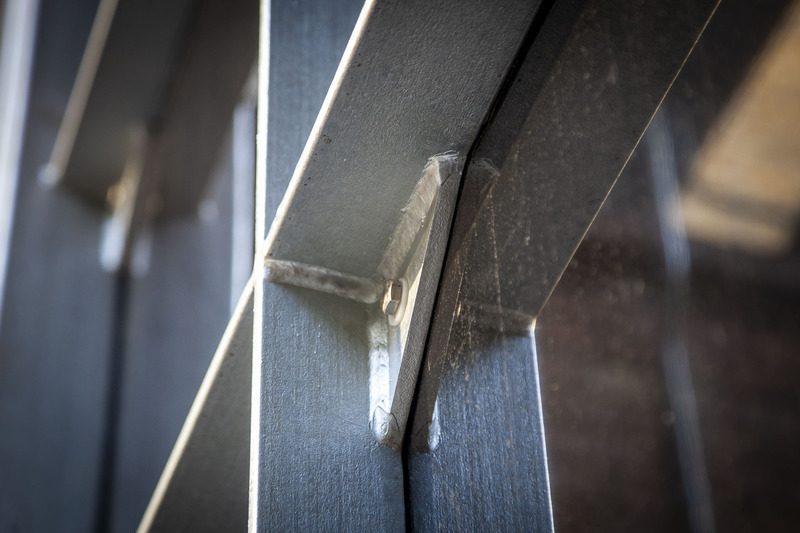 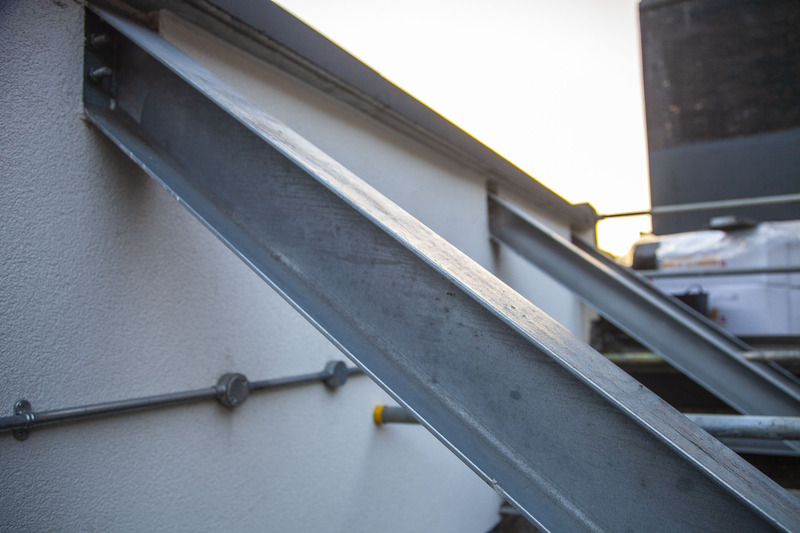 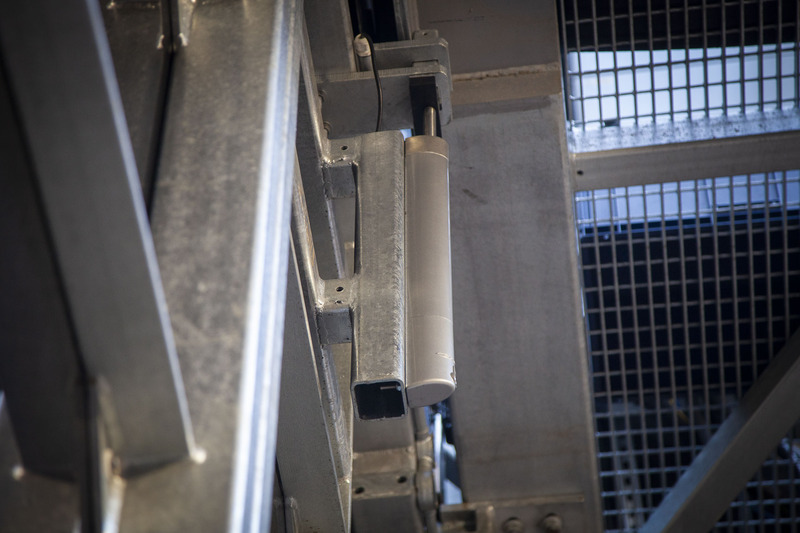 LWL also fabricated the brackets and mechanism that enable the gates to open both inwards and outwards. 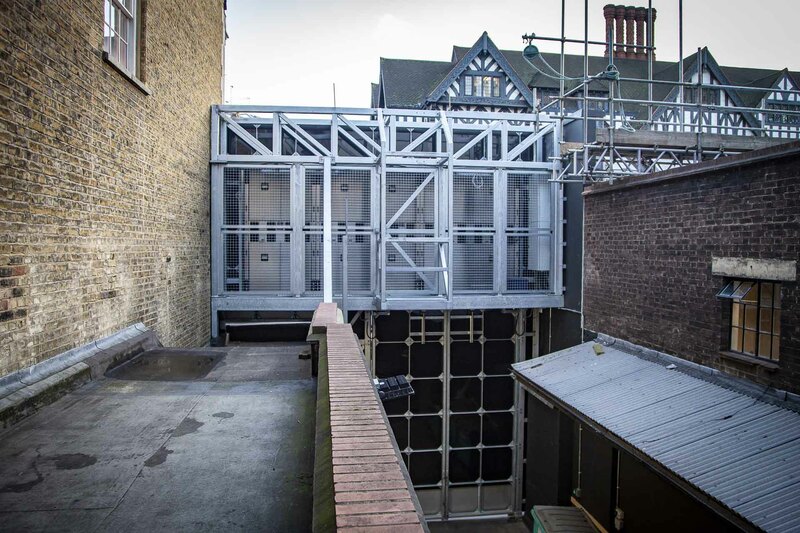 The whole structure was installed on site by our own build team.